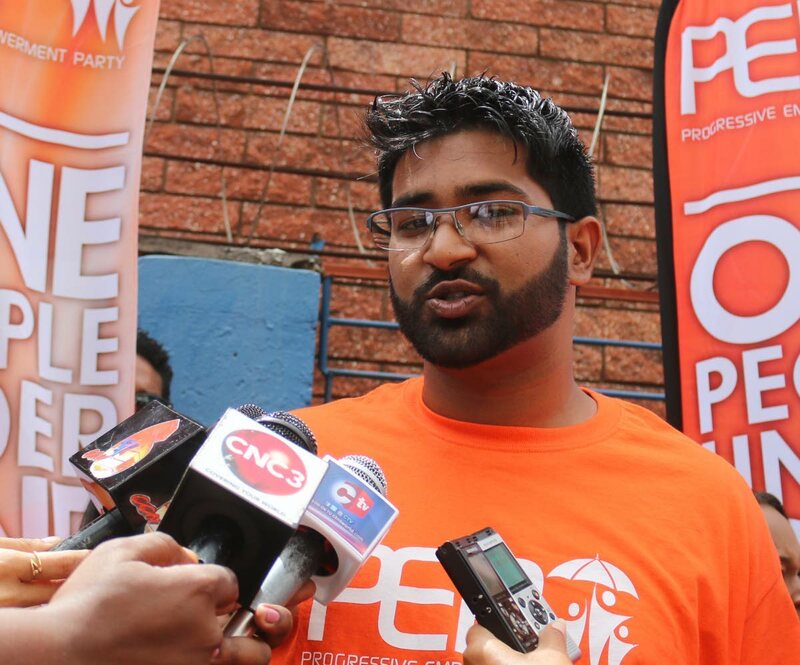 CHRISTOPH Samlal, Progressive Empowerment Party (PEP) candidate in yesterday’s by-election in Barataria said whatever the poll result his party has already accomplished its mission now that people in that polling division and across the country have been made aware of the principles for whichthe party stands. He said on Saturday he had a “very warm and nice” reception by residents during his motorcade and he was now hoping for a good turnout of voters in his support today. Samlal however complained of election posters on walls and party political graffiti painted on the road specifically outside the entrance to St George’s College. He said he had complained to election officials, upon which the police had removed some posters from lamp-posts near the Dominic Savio RC School. However officials said posters near the Barataria Anglican School were not close enough to the polling station to be an issue, Samlal related. Samlal said his aim in standing was to offer residents real representation. “The UNC and PNM are well-oiled machines, with election-day machinery and tents all around, and a lot of people and political paraphernalia. “The biggest challenge was fighting that campaign, which has more money and more machinery than us, but in terms of policies I believe we have the upper hand.” Saying that not even the TT Constitution recognises political parties, Samlal said he wished he had been able to debate his two rival candidates in an open forum so the electorate could judge based on the individual candidate and not the party. Asked about the Westminster system’s two-party choke-hold on TT politics, he saw social media as a way forward. Reply to "Samlal: PEP has ‘won’ already"